Makhana Kheer is a classic delectable Indian dessert made by cooking Makhana(s) in milk till it reaches creamy consistency. Makhana is also known by other names like "Lotus seeds" or "Foxnuts". 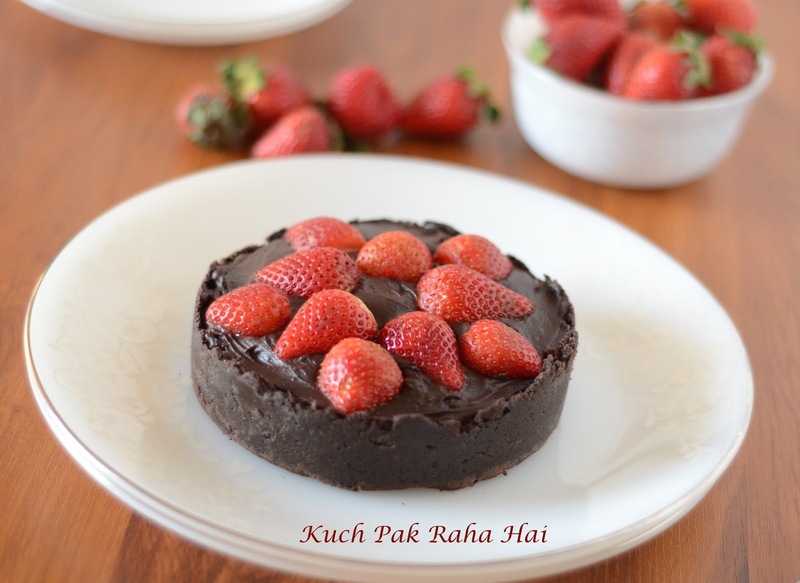 This lip-smacking dessert is quite easy to prepare without taking much of your time. 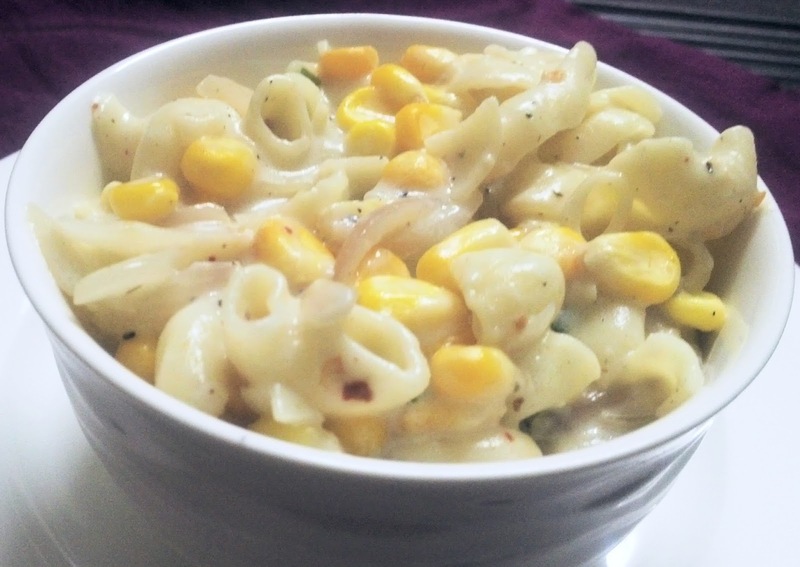 The best part about this recipe is you can have it in you fasts also. I always make in it Navrtri fasts as it is not only tasty but contains many essential nutrients also. 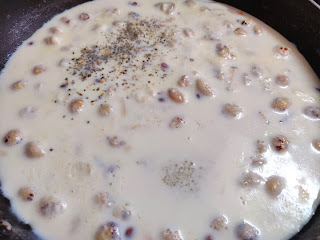 Earlier I had shared the recipe for Saffron Sama Rice Kheer or Barnyard Millet pudding which you can see by clicking here. 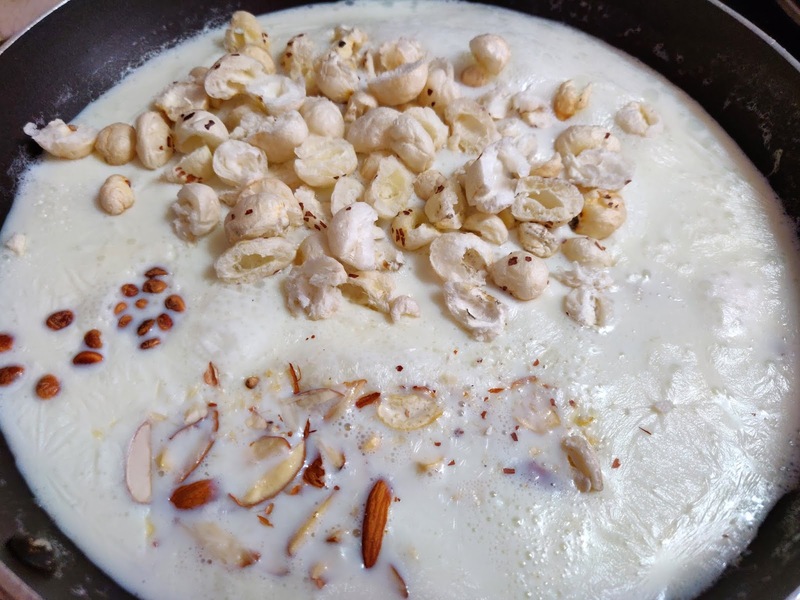 In this Makhana Kheer recipe I have used full-fat milk. You can even use toned milk if you wish. 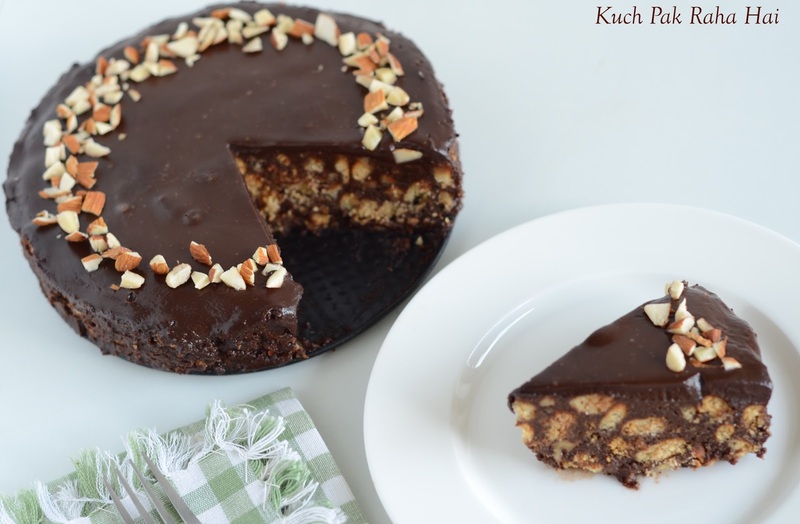 Apart from almonds, cashews & raisins, I have added "Chironji" which gives a nice crunch to the pudding. 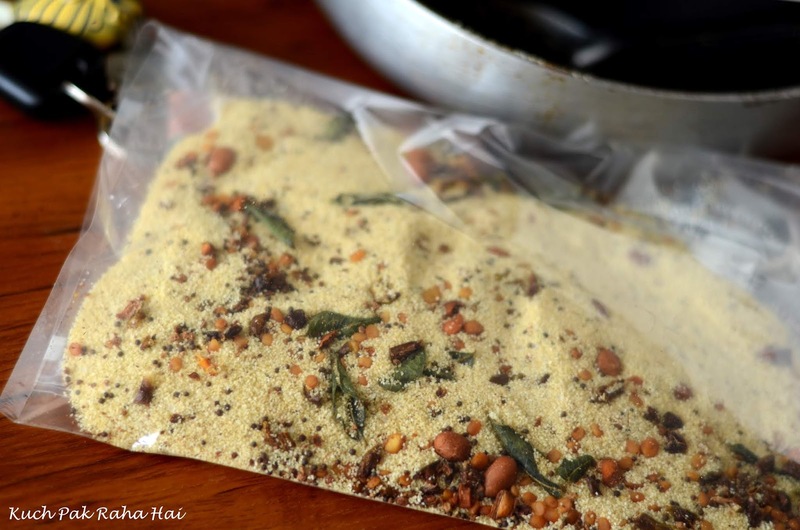 Chironji is an Indian spice which has a nice nutty taste. It is harvested from tree called "Buchanania Lanzan" and has number of health benefits. It is a natural coolant, improves digestion & overall skin health. 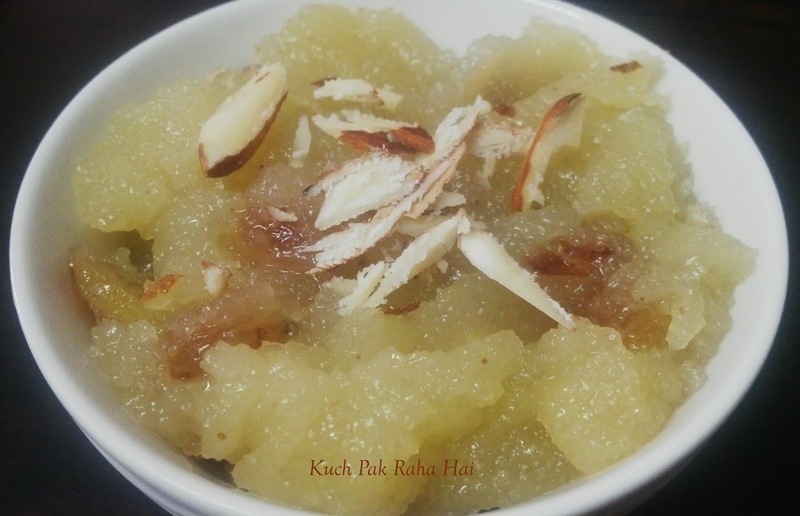 You can add it in other recipes of kheer or halwa. 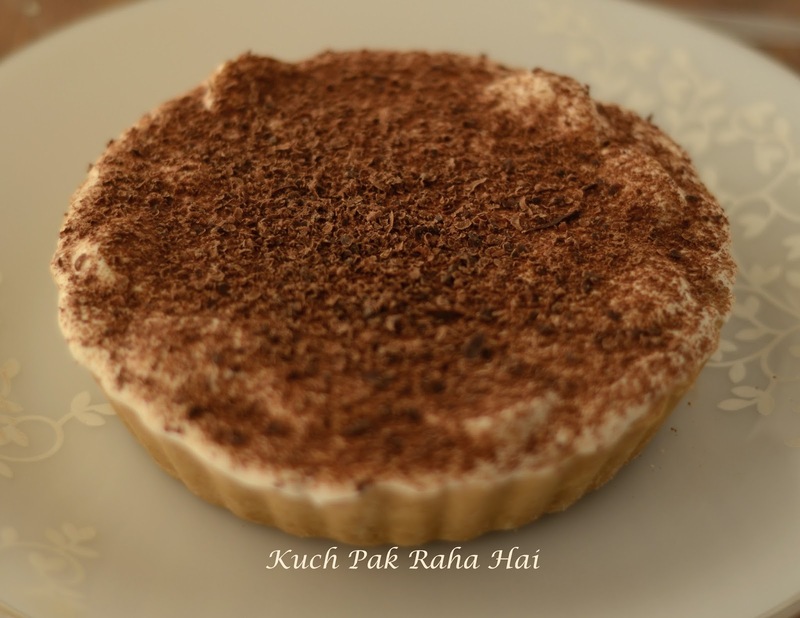 The cardamom powder gives a nice soothing aroma to the dessert overall. The quantity of sugar can be varied as per your own taste or preference. Whenever it comes to serving, I generally prefer clay earthenware bowls ("kulhar" in hindi) as they not only look really elegant but give an earthy aroma to the kheer. 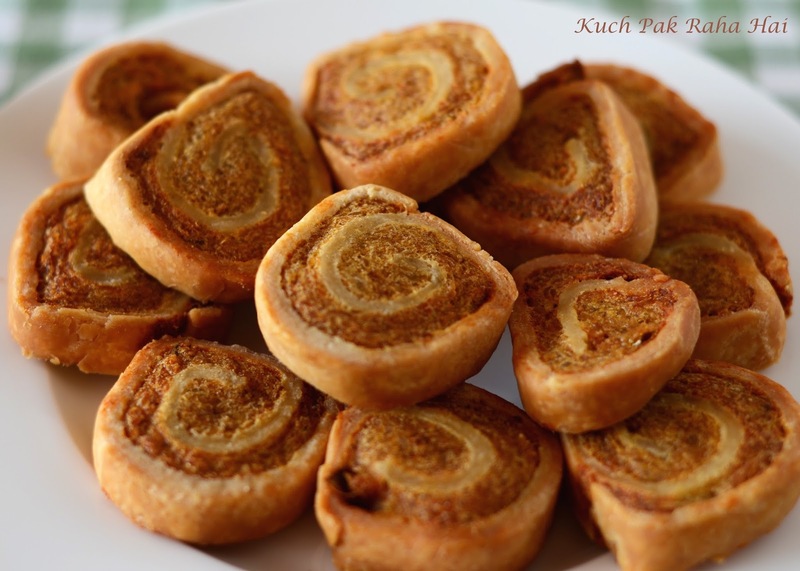 These Kulhars can be used to serve tea, yoghurt & many other Indian desserts like kulfi, rabdi and mishti doi etc. 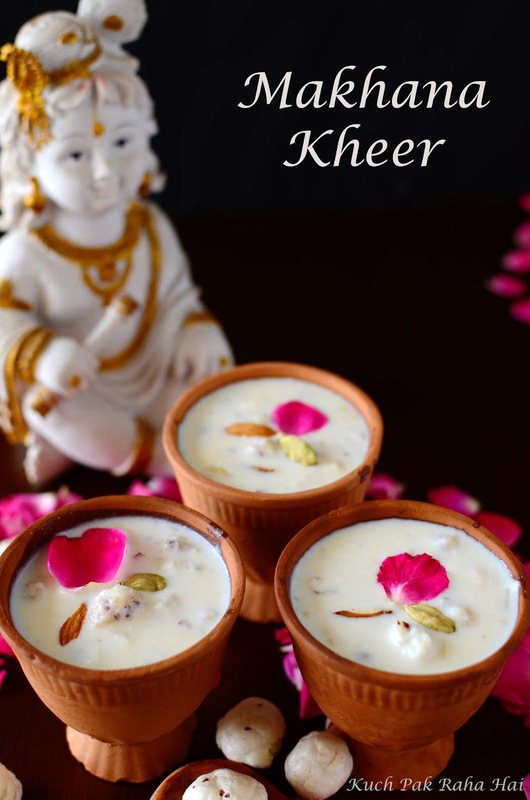 Hope you would like this delicious and creamy Makhana Kheer recipe!! 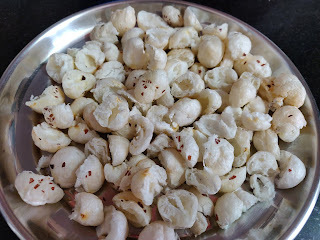 Split the makhana or foxnuts into 2 pieces. 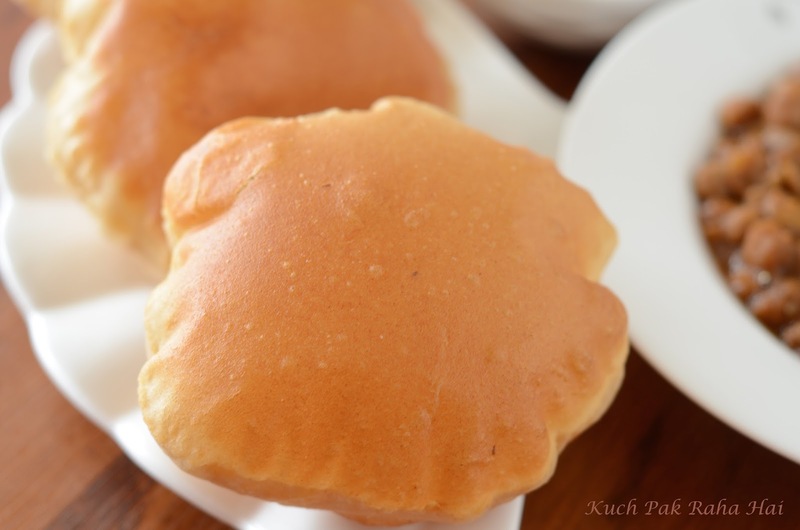 In a heavy bottom or a non stick pan, heat ghee and roast these split makhana in it for 2-3 minutes till they become sighlty golden in colour & become crunchy. 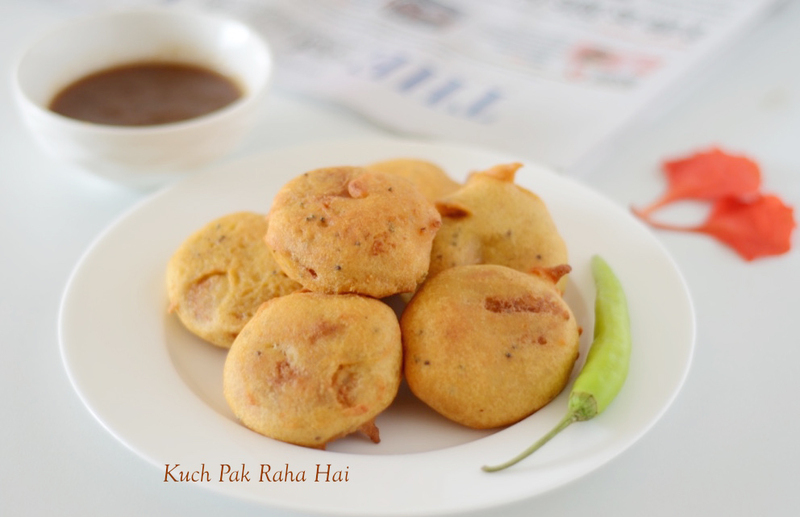 Keep these roasted makhana aside. 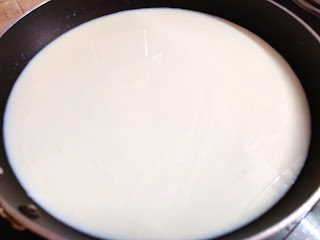 In the same pan, heat half litre (500 ml) of milk & bring it to boil. I have used full-fat milk here as it imparts more creamy flavour to the kheer. If you wish, you can use toned milk also. By the time milk is boiling you can proceed to next step. 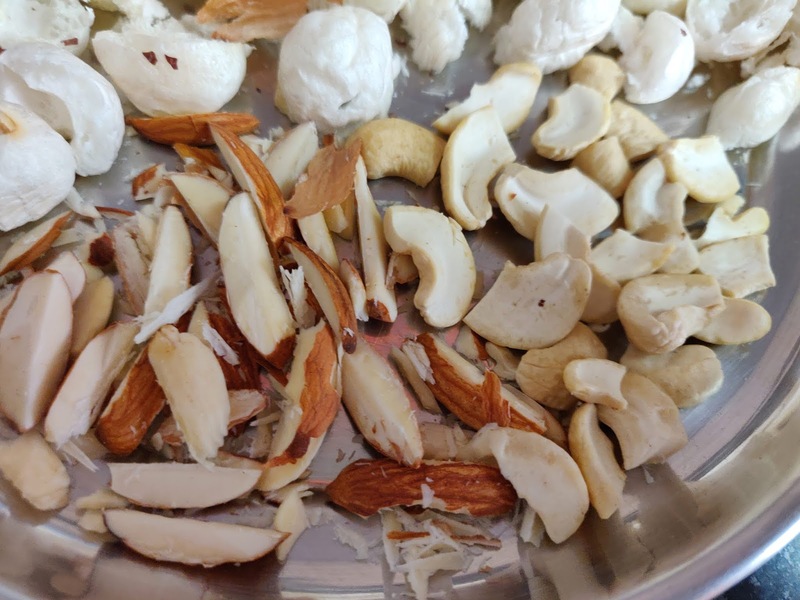 Chop the cashews & almonds in small pieces. Keep these aside. Also, if you are using whole cardamom you can powder it either in your blender or mortar-pestle. I generally prefer mortar-pestle for smaller quantities of spices as it gives more aroma than already packed powdered spices. 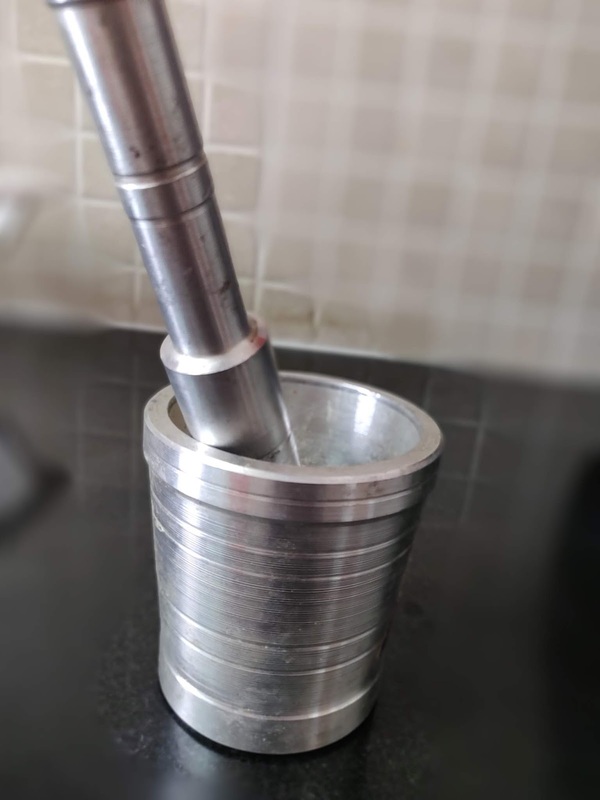 Such mortar-pestle sets are easily available on Amazon these days & you can check its other specifications by clicking here. Once the milk comes to boil, slow down the flame. 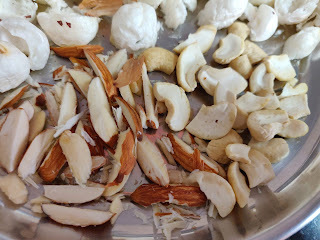 Add the roasted makhanas we kept aside in step1 along with raisins, chironji & chopped almonds, cashews. Let it cook for 20-25 minutes on low-medium flame. Keep stirring in between while scrapping the mixture from sides & bottom. When the pudding/kheer is almost ready, add cardamom powder & sugar. Let it cook for 2 more minutes till sugar dissolves completely & then switch off the flame. 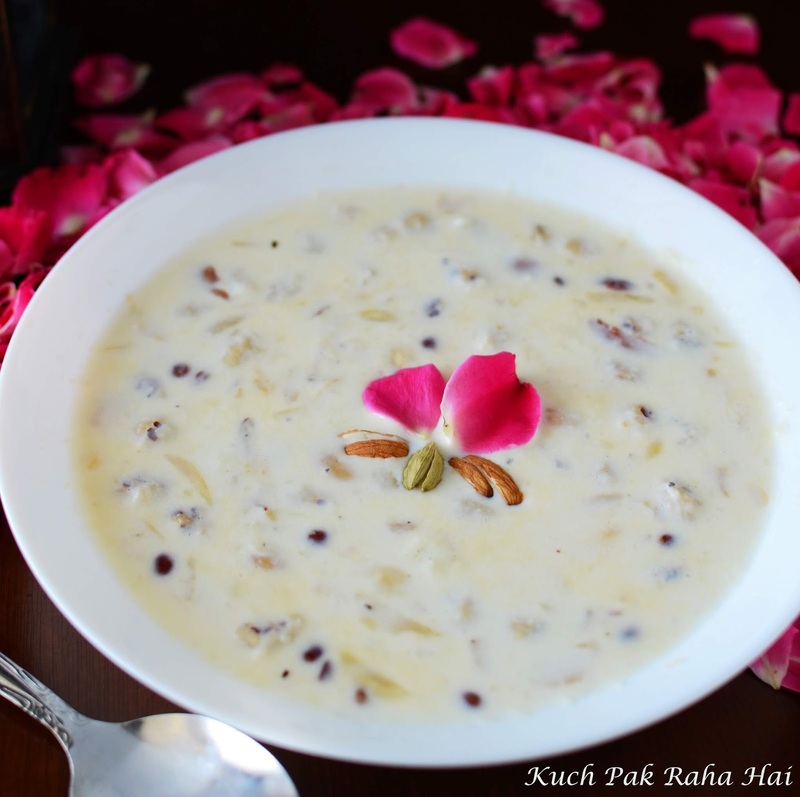 Transfer the kheer into a serving bowl & garnish it with some more chopped almonds and rose petals. 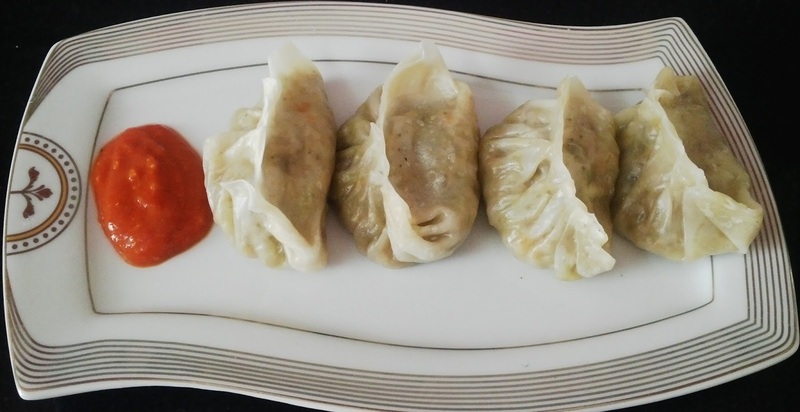 You can serve it hot but I generally like to chill it in fridge for an hour or so before serving. 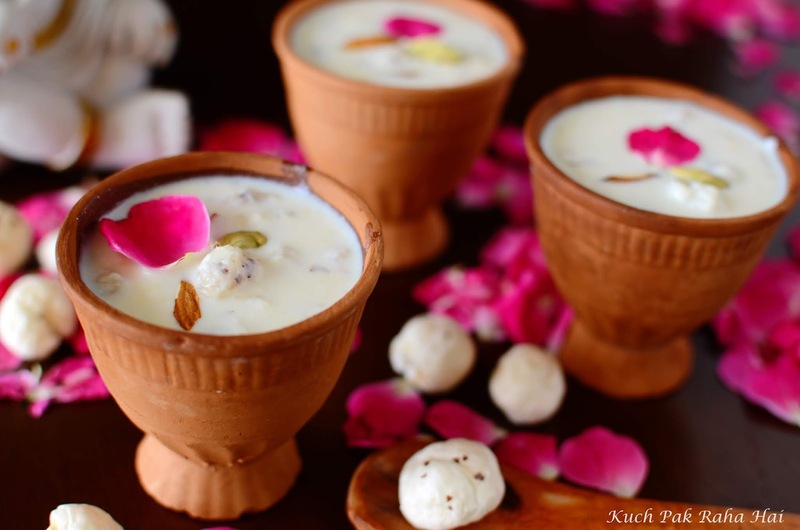 Enjoy this delicious creamy kheer with makhans, nuts & beautiful rich aroma from cardamom. 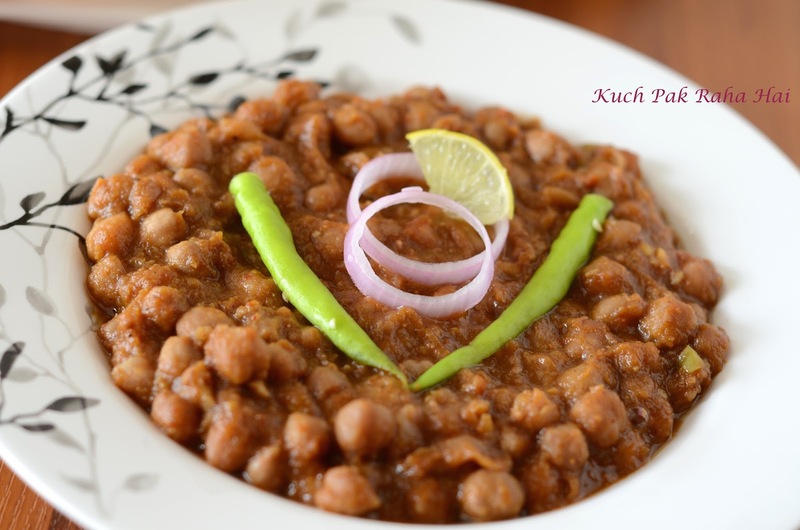 For more Makhana (Foxnuts) recipes, click here.